When you save your scraps you have to think of ways to use them. So a little while ago I ordered in some 1/2" hexes thinking that I would use them for a scrappy Bonnie and Camille project. No real direction, just something to work on whenever. Then I saw that Sue Daley was doing a Sew Along on her blog so I thought I might sew along and maybe what I created could be used as part of my B and C Scrap project. Maybe as the centre, medallion style? These photos above and below show the size of my hexes compared to the ones that Sue is using in her Sew along. It's a fun sew along. Nice and slow paced that it fits in between other sewing projects and is portable. I posted my progress on Instagram and now I have a few people joining in and making the 1/2" hexie version with me. If your interested in taking part Sue's blog can be found HERE. If you are in Instagram have a look at these hashtags. looks so cute - I always keep the scraps too. Bought a pack of tiny hexies ages ago for this exact purpose, but another 'one day' project I'm afraid. Look forward to seeing yours come along. Loving your progress. The smaller the cuter I think with hexies ! They look good........addictive little hexies. Beautiful Sharon you are super talented. 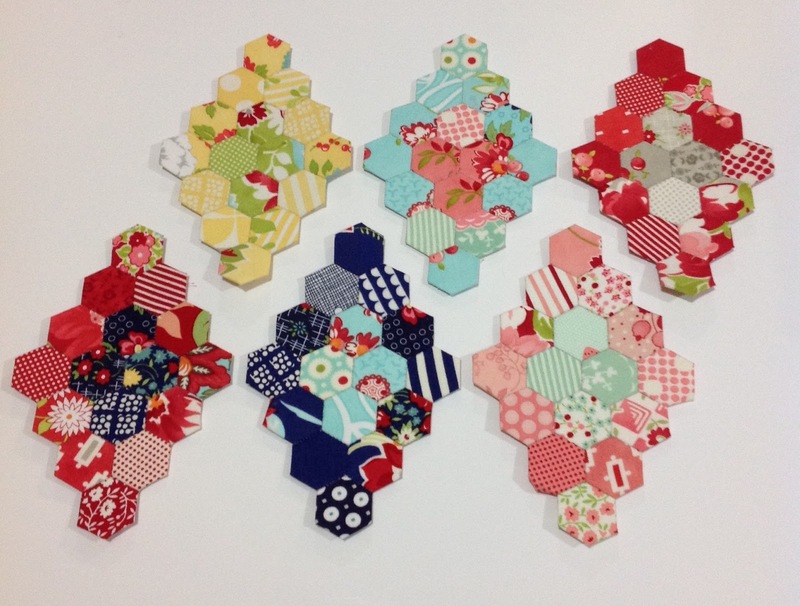 Wonderful use for your scraps...always love a hexie! !